Air Conditioning Staff Hiring Services in Bhopal - Lakkho HR Consultants Pvt. 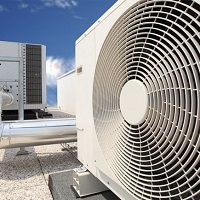 Ltd.
Air conditioning has now become a necessity for both domestic as well as commercial use. With the ever changing climate, this industry is experiencing a rapid boost. In the past few years, this industry has spread in almost every part of the world. This industry is thus becoming one of the most competitive and successful businesses not merely in any particular region, but all the world over.